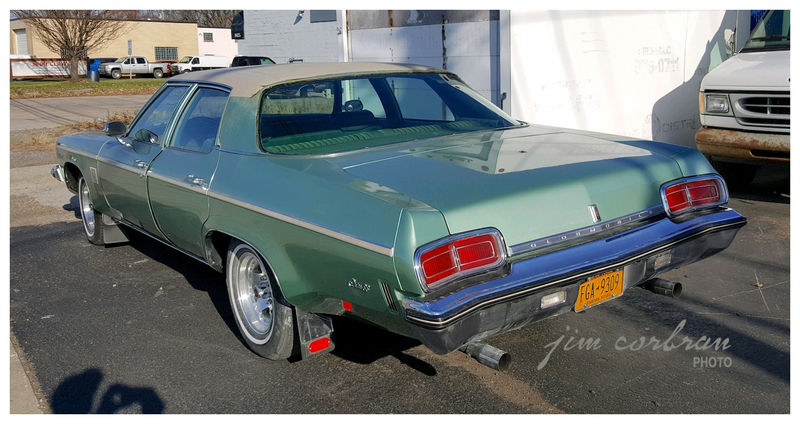 One quick look at this 1973 Oldsmobile Delta 88 and it’s pretty obvious that the paint has held up much better than the optional tan vinyl top — whole chunks of which seem to be missing. 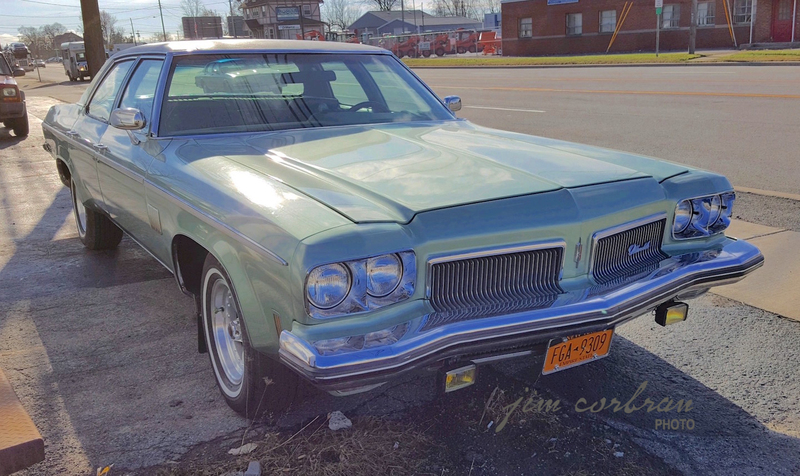 Also AWOL are the original rims & wheel covers, but from here the rest of this 45-year-old example of Detroit iron seems to be in pretty good shape. Passed it by last summer in that confusing part of town which is either Kenmore or Tonawanda.